Win master is one of the relatively new bookmakers in the betting industry, but it has already reached a top place in most of the famous review sites. Established in 2013 the site has quickly made its way to the top 100 of the most recognized betting platforms in the world. Since its creation, the company has developed a very serious fan base in Eastern Europe. Winmaster headquarters are located in Malta and target players mainly from Romania, Cyprus and the Balkan countries. Owners of the company are WM Interactive Ltd, and the bookmaker operates under the jurisdiction of Curacao. Becoming more popular the bookie has developed a very attractive affiliates program. People with knowledge about sports, casino, and online poker knowledge can join the brand. The company became the official sponsor of one of the most famous Cyprus soccer teams APOEL FC. The company is under the regulation of the Maltese Gaming Authority and has a gaming license issued by the MGA. Other products like casino, poker etc are licensed and regulated by Curacao eGaming, regulated by the Government of Curacao. Being focused to deliver higher quality product, Winmasters are part of a campaign about responsible betting and have additional information about the initiative on their website. Win master has built a very nice and simple platform following the latest trends and design of modern betting sites. The menus are comfortably placed, and even players with no experience in online gambling games can easily find what the needed information. As a betting platform targeting mostly European players, it’s a not a surprise the Sports section is dominated by Soccer wagers. You can find other sports like tennis, volleyball and ice hockey. A very nice feature of the site is the Live betting option where you can bet on sporting events while they’re happening. There you can find useful information about Statistics and Results. The Live Calendar will keep you updated on upcoming events that are available for live betting. You can put your chosen sporting events in a list for quick access afterward. There are a ton of games in the Casino section of the site. Slots, Roulette, Blackjack and many other games await you there. The Live Casino offers the opportunity to play with real croupiers that are a nice touch to the otherwise common casino events. Winmasters have made a real effort in their Poker games selection and have excellent tournaments you can follow and participate in throughout the week. Special wagers are also available like Politics and entertainment events. The site has a mobile version where you can bet on the go and follow your sporting events through your mobile device. When we take a look at the odds that Winmasters are offering, you can easily see they’re trying their best to stay competitive. Supported odd formats are Decimal, Fractional, and American. The company brags about their wide selection of Soccer odds where you can find more than 10 000 every day of the week. You can bet on Match Result, Total Goals, Double Chance, European Handicap and Draw no bet. Most famous Asian handicap is missing, but most of what you’re looking for in Soccer betting is there. Surprisingly Ice Hockey also has a very wide selection of wagers going to over 1500 a day. You can find odds for 1st Period Handicap, Odd/Even goals, First team to score and many more. The maximum of your bet slip events is 35 which is quite a nice number compared to other bookies. Trying their best to beat the competition Winmasters have made sure to develop a safe and friendly environment for their players. 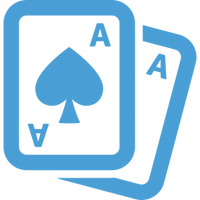 The site uses an SSL encryption to protect users’ data, so players can gamble securely without the fear of giving away their personal information. 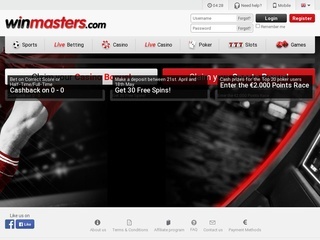 As most of the modern betting site in the industry, Winmasters are part of the “Responsible gaming” movement that encourages players to gamble for fun and make it their profession. They have strict rules against underage players. Speaking about support the site offers help in 8 different languages. Supported languages are Portuguese, Greek, English, Russian, Hungarian, Polish, Romanian and Czech. You can contact the site employees through their contact form. While their support system is not 24/7 ((Monday to Sunday), 09:00 – 22:00 CET) most players have reported that their response time is quick, and problems are solved very professionally. The site offers a very versatile deposit system where you can transfer funds with most famous available methods. Bank transfer and credit/debit card being the most common ones. 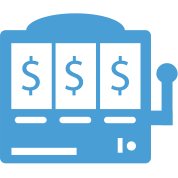 For additional information on all the payment options each gambler has, you can check the table standing aside. Minimum deposit amount is €10, and only the Bank Transfer requires €50. Maximum deposits go from €60 (for Mplatba) to €10 000 (for Bank Transfer). There are no deposit fees no matter that method you choose. The minimum bet for an event is €0.20. Withdrawal of winnings is also really easy with most of the times using the method you deposited the money. Minimum withdrawal sum is €20 for most methods with €70 for Bank Transfer. Processing fees for withdrawal go to up to 3% of the funds. Usually, they take up to 72 hours to finish the transfer that is relatively fast for a bookmaker. For all the currencies, please check the table. There is a reason Winmasters have developed so much in under a year since their creation. And that reason is mostly due to the great bonuses they offer. Even from the start you’re welcomed with a great 50% up to €50 bonus for sporting events. The odds requirements for the bonus are 1.80 and rollover amount is 7x. 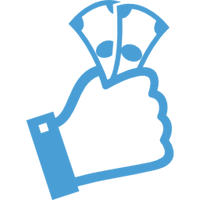 Any winning amount over 2.500 EUR during the bonus period will be retracted. When we’re talking about bonuses, the Poker bonus is maybe the most tempting one. There is a 200% for up to €1500 bonus for the first deposit. You collect Frequent Player Points while playing and for every 800 points you’ll get €10 in your wallet.